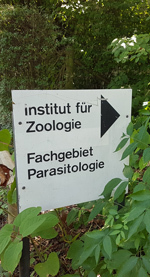 A meeting gathering several members of the GDRI EHEDE has been held on August 28-29, 2017, at the University of Hohenheim, Parasitology lab, Germany, in order to prepare an application `Transmission ecology and risk factors for cystic echinococcosis in sub-Saharan Africa’ to the Deutsche Forschungsgemeinschaft. The overall scientific objective of the project is to gain insights into transmission patterns of different agents of cystic echinococcosis (Echinococcus spp.) in selected geographic regions and under defined environmental conditions in sub-Saharan Africa, and estimate their impact on human health and the economy in those regions. One additional aim is to strengthen a number of existing African centers of competence. Members of this proposed consortium have been cooperating successfully on the long term. Structures have been initially created within the CESSARi consortium in several of the African countries involved (Ethiopia, Ghana, Kenya, Nabimia, Sudan, Uganda, Zambia).